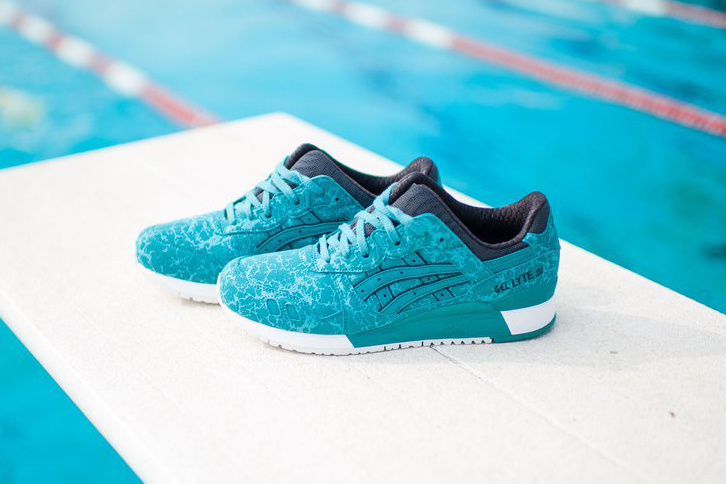 ASICS delivers its iconic GEL-Lyte III silhouette in a summer-inspired colorway, aiming to hold onto the last remaining poolside days before the cooler weather takes full force. Featuring a bright blue hue with crackled textures mimicking the reflection of a pool, the shoe comes with nubuck uppers and embroidered branding along the lateral and heel panel. Additionally, the sneaker’s familiar split tongue is showcased in a breathable textile fabric with tonal blue laces. Sitting atop a gel-cushioned sole in a color-blocked white and aqua design, grab a pair of the ASICS GEL-Lyte III “Kingfisher” at retailers like Rock City Kicks now for $120 USD.